Fantastic family holiday fit for all! For some of us, choosing a family holiday that suits everyone is a bit of a struggle. 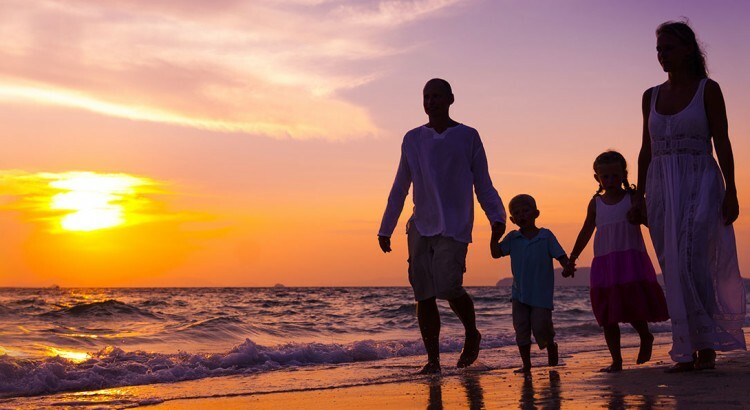 At Barrhead Travel we like to make things easy for you by selecting a few of our firm favourites that will suit every family member no matter what their age or interest. What one will you choose for your next family trip? Spain ticks so many boxes for a great family vacation: good value resorts, great selection of waterparks and year round sunshine, no wonder families keep coming back year after year. If you missed out in the summer, locations like the Canary Islands and Tenerife are still vibrant in the winter months where you can experience a slightly more relaxed vibe with the same amount of atmosphere. You can’t beat Florida for an amazing family holiday destination in the US – particularly Orlando! Jam-packed full of super fun activities for the kids to enjoy including; Disney, Universal and Seaworld to name but a few, the adults can even join in the fun and reminisce about their childhood during a trip here! Value for money destinations is what Turkey is known for! But don’t think that diminishes the value and offerings of this destination. Building itself up to become an upmarket holiday destination for families and holidaymakers alike, Turkey offers culture, activity and relaxation in one fantastic bundle. Wherever you choose to visit in this location there is guaranteed holiday perfection no matter what you are looking for on a trip to this magnificent island. Resorts such as Crete, Corfu and Zante offer an abundance of activities for the active family where quieter parts of the island also cater for those families that enjoy a relaxing vacation and peaceful atmosphere. Huge beaches, family friendly resorts and sunny summer weather make this a hit for family vacations. Look no further than Albufeira for amazing bargain breaks including Michelin-starred dining for the adults and a whole selection of water based activities for the children to keep them entertained throughout the day. For some this is an adult only holiday destination but Mauritius has some amazing facilities that cater for those holidaying with children too. Low prices corresponding brilliantly with school holidays makes this an affordable destination for families. The crystal clear waters and amazing entertainment facilities will make this a holiday to remember for both the adults and children. Cyprus has become known as being a family and child friendly destination. A sunshine location, kids will love all of the all-inclusive kids clubs and waterparks that this location offers in abundance and not forgetting the amazing scenery and fantastic beaches for the adults. When choosing to holiday in Dubai there is no better option than choosing one of their amazing all-inclusive resorts. Hotels cater for every member of the family with some containing their own waterpark that will keep the younger members of the family entertained for hours! World class restaurants will assure the adults are well fed whilst the fantastic shopping outlets are an escapism for those who love a bargain! The long flight may not be to the tastes of those travelling with very young children, but for older children this is the place to be! There is plenty to see and do that will keep the whole family entertained from snorkelling in the clear waters of the ocean to trying some of the amazing Mexican cuisine. Mexico is known for their many parks that are scattered across the island perfect for exploring on a bike as a family. What is better than a holiday right on your very own doorstep! The weather may be a bit of a gamble sometimes but when it’s sunny and bright there is simply no other place to be. Go to one of the many holiday parks such as; Haven or Butlins where there is plenty of fun to be had for the little and big kids amongst us with clubs, entertainment and parks to enjoy as a family! When planning a family holiday there is more choice than you may think! No matter whether you are travelling with small or large children, there is something for everyone in each of these locations! Relaxation, relaxation, relaxation… Our must pick destinations!